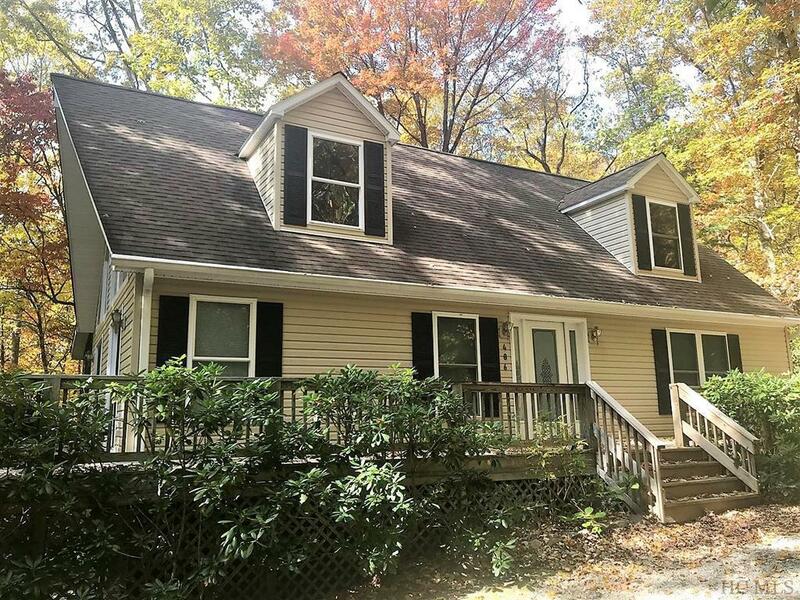 Located in the Blue Ridge Mountains in the heart of Sapphire Valley just minutes from Cashiers, NC, sits this light and bright 4 bedroom, three bath home on a nearly level 0.7 acre wooded lot. 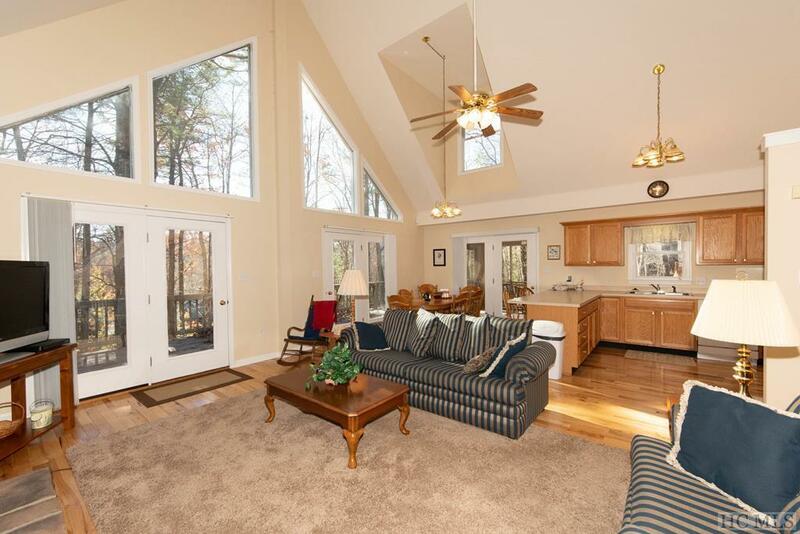 The home offers soaring ceilings with a huge bank of windows to let in lots of natural light. With lots of outdoor activities, this area is perfect for a nature lover, or sit on the screened porch or huge wrap around deck and enjoy the sights and sounds of nature from the comfort of your rocking chair all while enjoying the cool breezes at 3,400 feet in elevation. 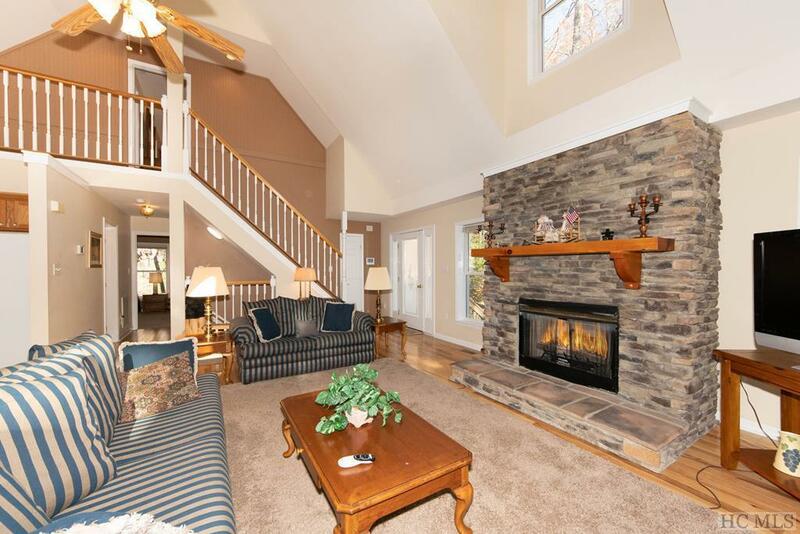 The home has a spacious, open-concept main floor with cathedral ceilings and beautiful wood floors in the main living area. 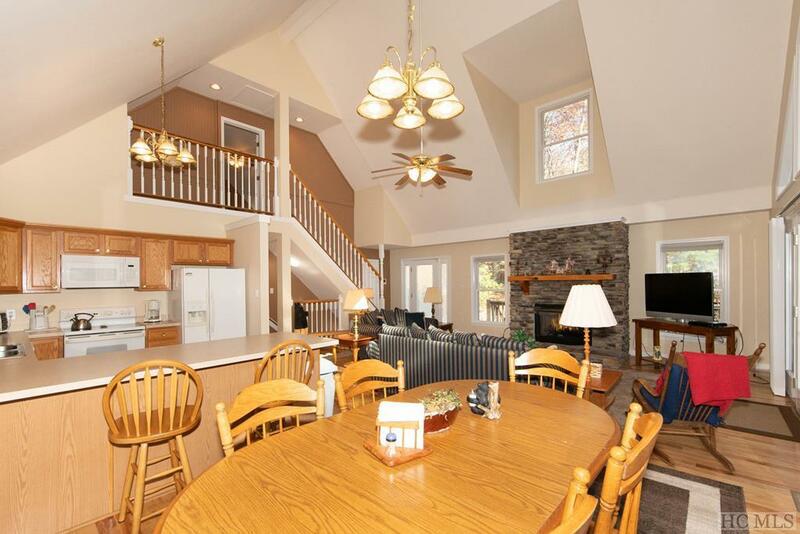 There is a large family room on the lower level which opens to a patio. Home would make a good rental, family home or second home. Furniture is available outside of closing so you could be in and enjoying the home just as quick as you can close. In just a few minutes you can be at the amenities of Sapphire Valley which are included with ownership. These include an indoor/outdoor swimming pool, tennis courts, workout facility, golf course, community center and more. Don't wait! Call today to schedule your private showing. The village of Cashiers, NC is just a few minutes away and offers a well appointed grocery, plenty of gourmet and family style dining options and boutique shops to explore. Highlands, NC is just another 20 minutes from Cashiers and offers a main street lined with shops and restaurants. Call today for your private showing! Club Name Sapphire Valley Master Assoc. Listing provided courtesy of Tina Cone of Keller Williams Great Smokies.